Personal mobility scooters are rapidly becoming the average aging Baby Boomer’s ride of choice but that doesn’t mean they’re enamored with today’s bland, boring, uninspired single-seat hummers. 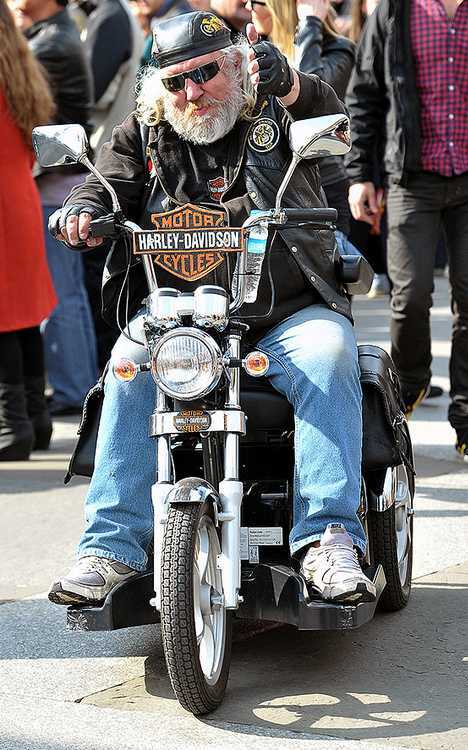 Indeed, the postwar generation of easy riders want more than just an easy ride and a number of visionary manufacturers have got some mag-nificent wheels in the pipeline. 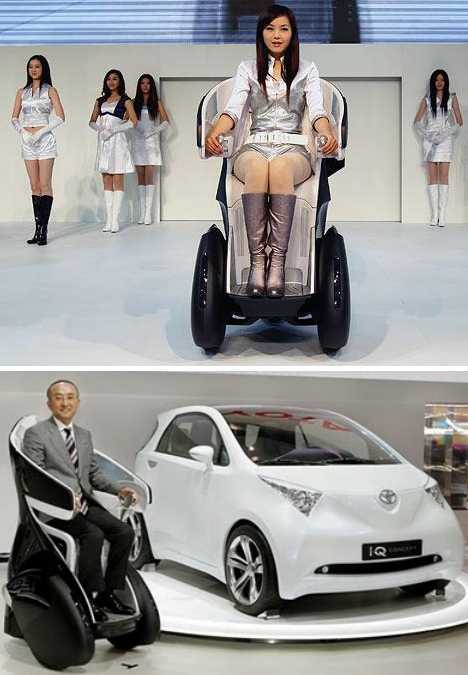 The three-wheel-drive, battery-powered Toyota i-REAL “Personal Mobility Concept” made quite a splash when it hit the promotional merry-go-round in 2008. Richard Hammond took one for a spin on an episode of the BBC’s Top Gear that year and it was a regular visitor to auto shows, talk shows and hobby shows… one wonders why when it came time to put the i-REAL into production it was a no-show. Combining the best features of a Segway and a standard mobility scooter, the i-REAL shifted shape when switched from Low-Speed Mode to High-Speed Mode though at 18.6 mph or 30 km/h, the latter term is relative. 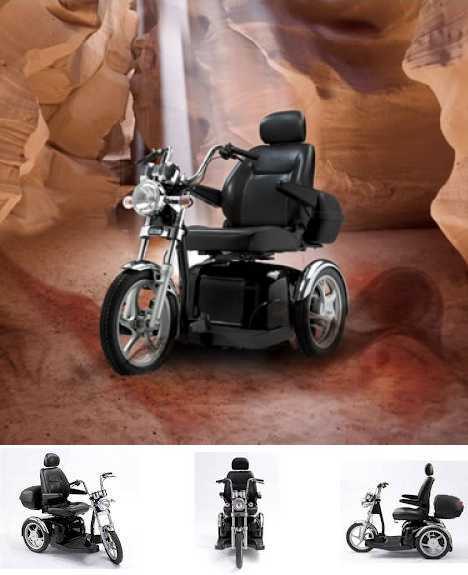 Mik Scarlett, in the June 2011 issue of Disability Now, described the Sport Rider Scooter from Drive Medical as looking “more like the Harley Davidson ridden by The Terminator than a scooter.” Looks deceive, however, as with a top speed of 8mph Sport Rider Scooter riders won’t be wishing anyone “Hasta la vista, baby” anytime soon. The Elektroscooter from German designer Patrick Leyendecker picks up where the standard wheelchair leaves off, providing scooter-users with a lighter option when the aim is pure transportation. If it’s groceries you’re after, on the other hand, the Elektroscooter does feature a package shelf of sorts: the driver’s lap. 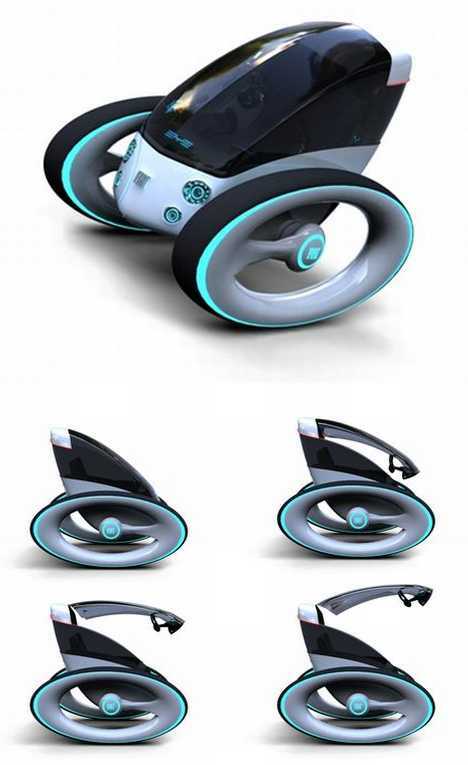 The 4-wheeled (you have to look closely) Elektroscooter is as clean and minimalist as it gets. 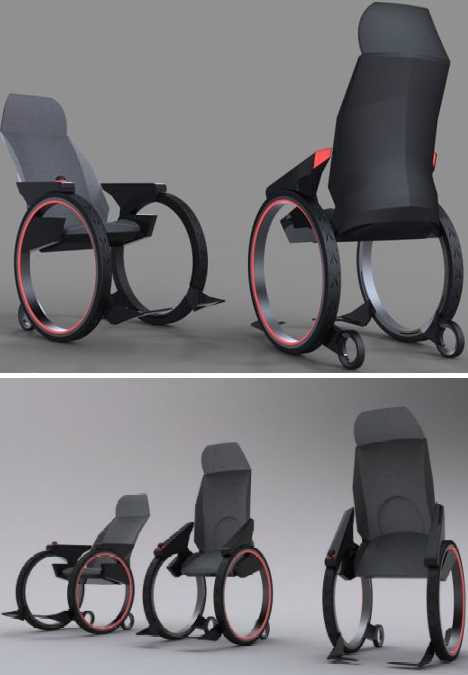 The wheels are directed via a trackball on the right armrest while the spokeless main wheels spin within stationary rims. And you thought Stark Industries only develops and manufactures advanced weaponry and cutting-edge defense technologies. Hah! 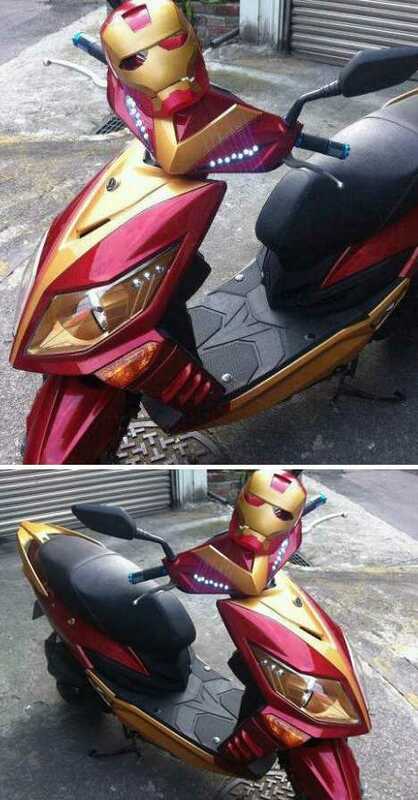 Though the Iron Man Scooter is a one-off design exercise and won’t be found parked in a rest home parking lot anytime soon, it’s good to know that when the time comes for our superheroes to slow down, they’ll do so in style. 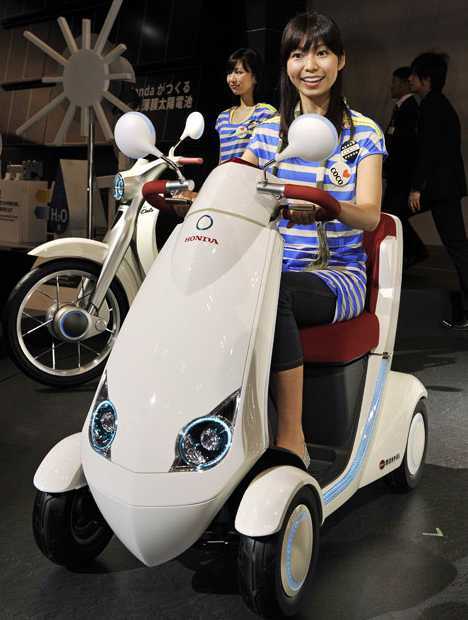 Unlike smaller manufacturers, Honda has the industrial capacity (and deep pockets) to put a concept scooter like the EV-Monpal into mass production. 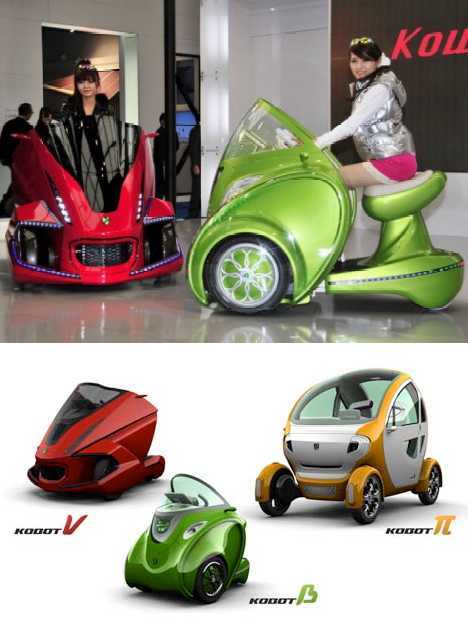 They also have a long history of vehicular innovation on both two and four wheels to build upon. Look for the EV-Monpal to make to leap from concept to reality sometime soon! 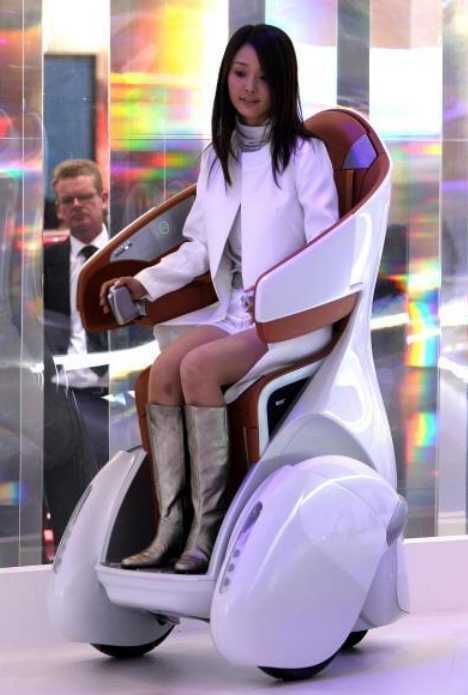 The Segway-based EN-V (Electric Networked-Vehicle) is a concept personal mobility vehicle conceived and created by a partnership between General Motors and Shanghai Automotive Industry Corp. Group (SAIC). 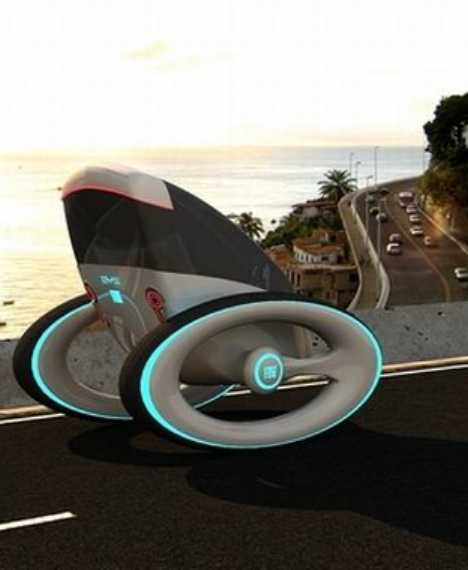 The two-passenger pod is versatile enough to function as a rather large “scooter” or as a capable commuter vehicle for tomorrow’s crowded urban environs. The under-1,000lb vehicle carries lithium ion batteries that allow a range of up to 25 miles of range. At its top speed of 25 mph you’ll cover every aisle in your local Mega Mart in no time flat. Could Kowa Tmsuk be the next Honda? Maybe, but that name’s gotta go first. In the meantime, let’s just say that Kowa Tmsuk is a joint venture by TMSUK, one of Japan’s most foremost robotics concerns, and Kowa, manufacturer of pharmaceuticals and electro-optronic instruments. 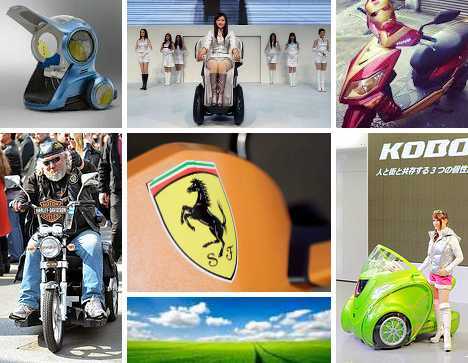 Year-old Kowa Tmsuk is charged with researching and developing electric-motor mobile machines. Splendid! 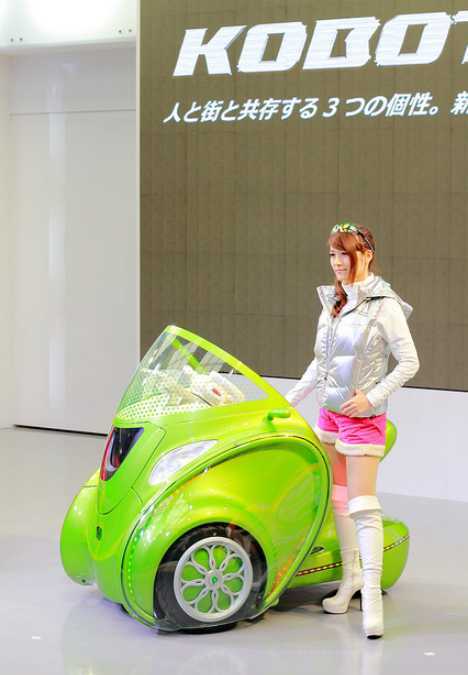 Kowa Tmsuk made a splash at the 2011 Tokyo Motor Show by rolling two single-seat and one twin-passenger KOBOT. The single-seat KOBOT ? and KOBOT ? are ultra-portable in that they collapse down when not needed. Another, cooler innovation is that they’re awakened, as it were, remotely via the owner’s smartphone. 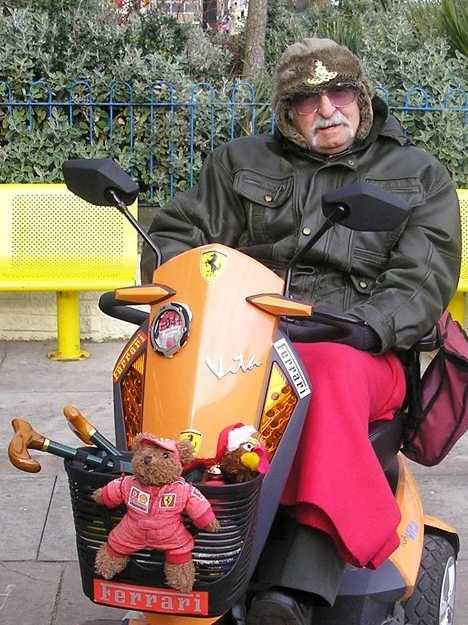 When cranky Walt Kowalski types finally trade in the ol’ Gran Torino for something that’ll fit through Wal-Mart’s sliding front doors, not any personal mobility scooter will do. 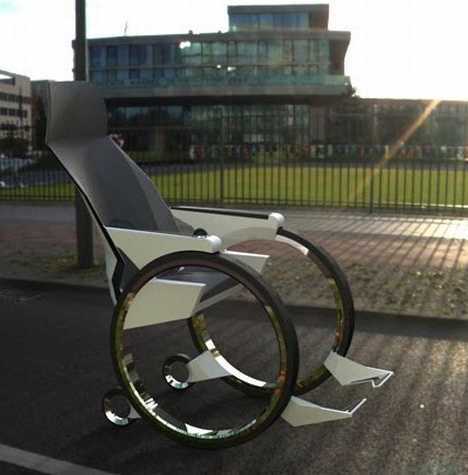 Nosiree bob, only the Action Trackchair has got what it takes to conquer the mean streets and keep on going when pavement turns to prairie or pasture. 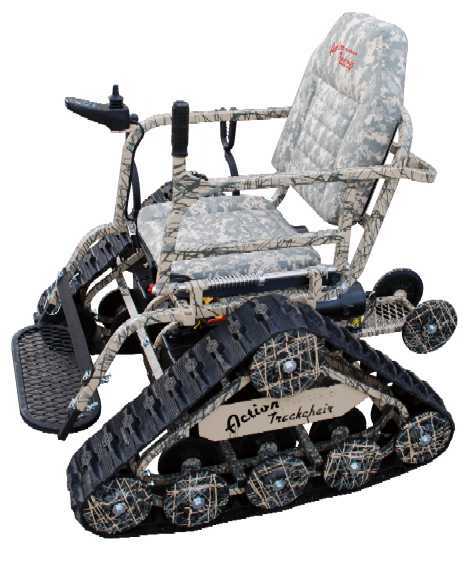 Billed as “the ultimate in off-road wheelchairs,” the Action Trackchair is what Dr. Strangelove would drive once the radioactivity fades and it’s safe to climb out of the mineshafts. 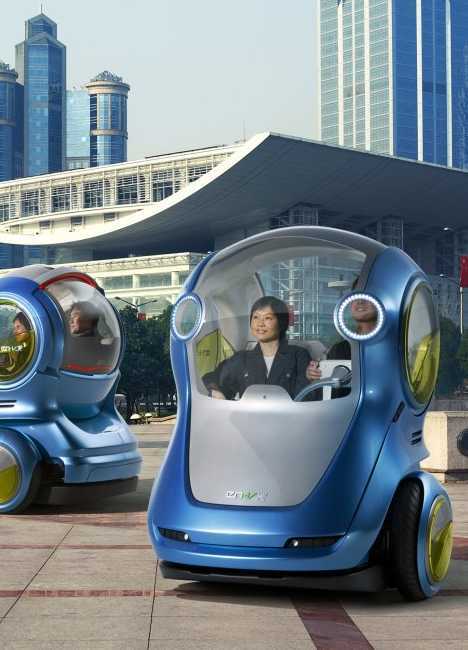 In the future, the thought of a vehicle built for Fiat using Segway technology won’t sound quite as frightening as it does today. “EYE” by Brazilian designer Dinard da Mata is all that and more: gyroscopic balancing, an all-electric propulsion system, and sensor-assisted control software to keep the rubber rolling without rocking. Voice-activated functions range from gear-shifting to fine-tuning your musical selection to popping the fighter-jet inspired front hatch once you’ve arrived at your destination. Speaking of which, the EYE is small enough to go pretty much anywhere a pedestrian can go, negating the need for valet parking. Ferris’ buddy Cameron will be SO relieved! 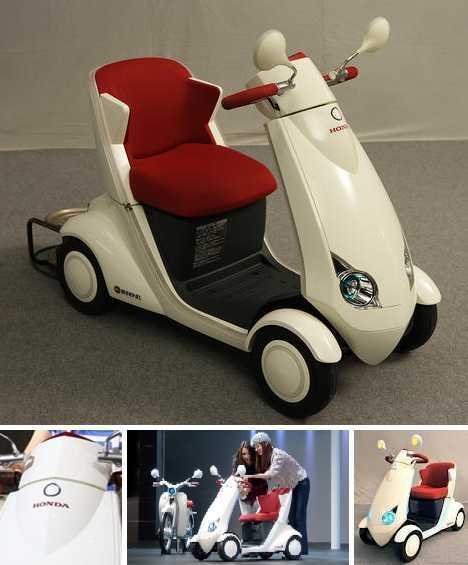 If any personal mobility scooter is gonna make you feel all warm & fuzzy, it’s the “Moto Tessuto” by Milan-based designer Marco Ferreri. 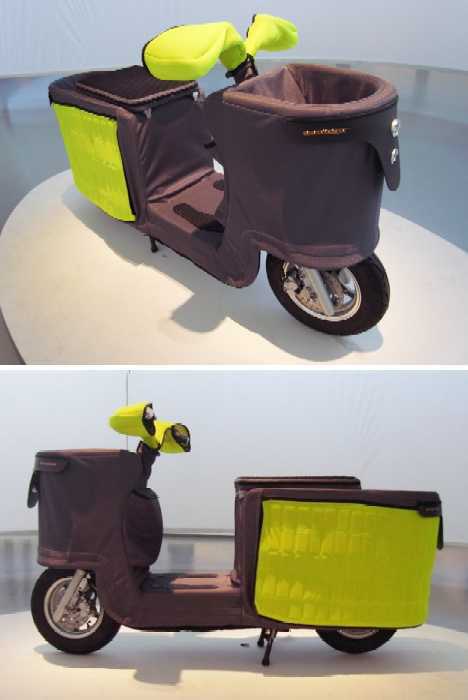 From the wind-shielding handlebar covers to the plethora of pockets of all shapes and sizes, the Moto Tessuto‘s fabric bodywork offers the extra advantage of being “adapted like a dress” to suit the needs of any individual owner or user. Skelton purchased his Vita 4 after a heart attack forced him to consider less strenuous ways of getting around. 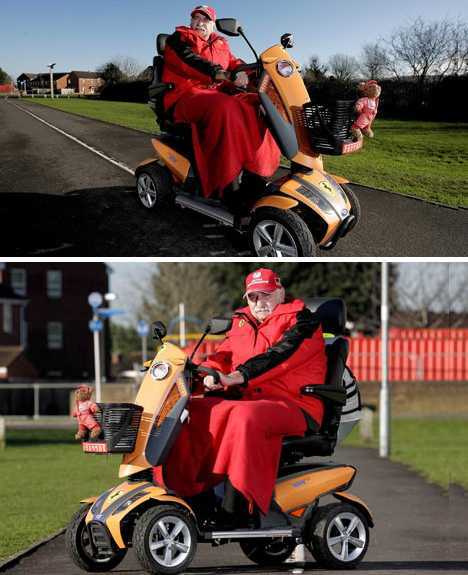 With assistance from TGA dealer Dalesway Mobility he was able to add a set of polished alloy wheels and Ferrari logos to enhance the sleek scooter. If you’ve done a little RVing lately, you’ve most likely done it in the 6’6″ by 2’6″ QTvan – there’s really nothing littler. 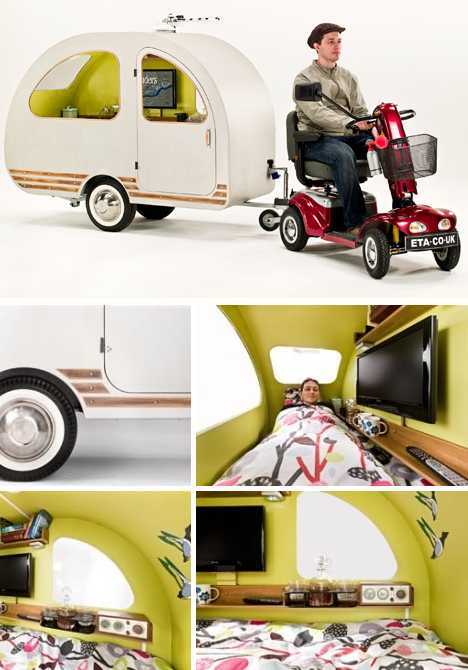 There’s a method to this madness: the tiny trailer was created to highlight the dangers of owning a mobility scooter without some form of cover in case of emergency. It’s a valid point: if you see a storm coming, you’re not likely to outrun it. Life is fleeting, time wounds all heels and even Billy from Easy Rider stated “We’re retirin’ in Florida now, mister!” Billy wasn’t able to fulfill his dream but if he could, you just know he’d be cruising the paved pathways of some Sunshine State Sun City on a scooter that suited his style… and someday, so will you.